An institution at The Horse & Trap, into his 16th year of hosting the quiz (a world record at the same pub), join NZ’s best quizmaster (as voted by himself) Riggsy for one of Auckland’s most famous Tuesday night quizzes - where legends are born. An 11 piece band + an eclectic array of sounds - sassy accordions, soulful vocals, cranking brass, popping congas, pounding percussion, and rolling bass lines. It’s an irresistible fusion of Soul and Samba beats, that’ll have you shaking your booty and stamping your feet. These guys smash out the Jamaican classics like no one’s business, combining rare grooves and originals to satisfy connoisseurs and new listeners alike. Bringing Summer to your Autumn, Acetones 8-piece ensemble is topped off with the dynamite vocal stylings of the Mighty Jabsco. The Horse & Trap is a stable of social relaxing. 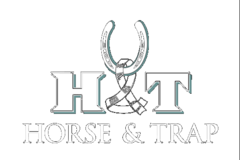 Like all the other people coming through the doors, we're sure you'll love the Horse & Trap just as much as we do! We’ve always been known for our food and drink. This is proper pub food with a proper drinks menu. Don’t come here for a 12-course degustation. We have food for all ages and all tastes, so whether it’s a casual work lunch, a catch-up with the boys, a girls night out, or a family dinner get-together - we have a family-friendly, all-day menu that will leave you satisfied and still keep some change in your pocket. Whether you are celebrating with close friends, wanting an internal team meeting space or holding a company seminar; our two purpose-built function rooms can accommodate your needs. Here’s the good news - you’ll get our amazing, super-friendly and accommodating level of service, along with the same food and drink offerings in the main bar and dining rooms. We're not strictly a Monteiths pub. Rather we choose the majority of beers from DB (including most of the Monteith's series) for the simple fact, we prefer the taste! Increasingly growing in popularity are the new breed of local craft beers, which we highlight every month on our guest tap for you to try. Whether you’re keen to dine in, save some space for your group drinkies, or hold a work or personal function and event - we’re here to help you make it happen. Booking a table or a function room couldn’t be easier. Make sure you hit that enquire button below which will transport you to all of our contact details.